As Shapeshifter comes into play, choose a number between 0 and 7. At the beginning of your upkeep, you may choose a number between 0 and 7. 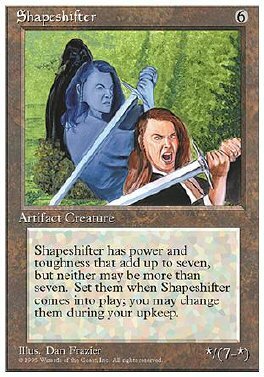 Shapeshifter's power is equal to the last chosen number and its toughness is equal to 7 minus that number.